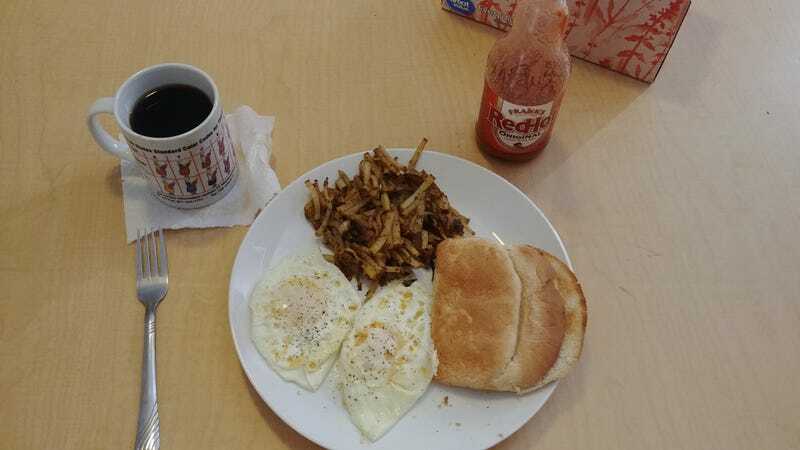 Two eggs, hashbrowns with onion, toast, black coffee. Hashbrowns are seasoned with salt, black pepper, red pepper, and cayenne. Toast is dry.